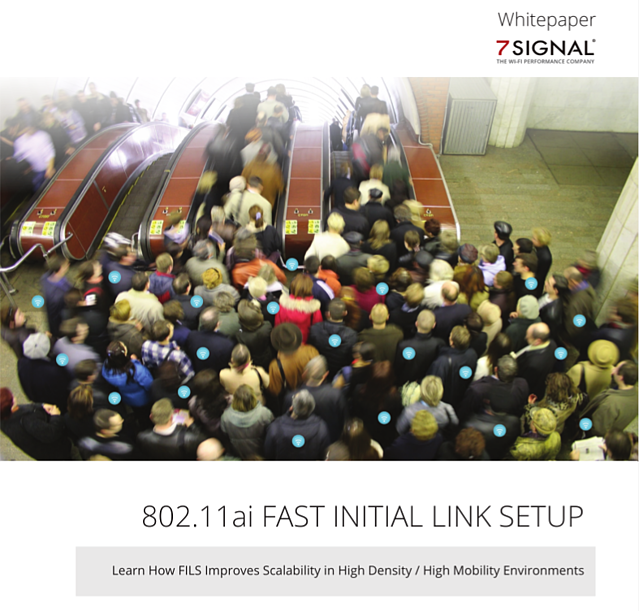 7SIGNAL is pleased to provide you with this highly educational whitepaper featuring the great benefits of the 802.11ai protocol features in Wi-Fi Alliance’s Wi-Fi Optimized Connectivity TM certification program. Whether you're new to the space or a Certified Wireless Network Expert, if you love Wi-Fi...then you NEED to read this. What Problem Does FILS Address? How Does FILS Impact the Connection Experience? How Does FILS Impact Capacity and Performance? Is FILS as Secure as WPA2?